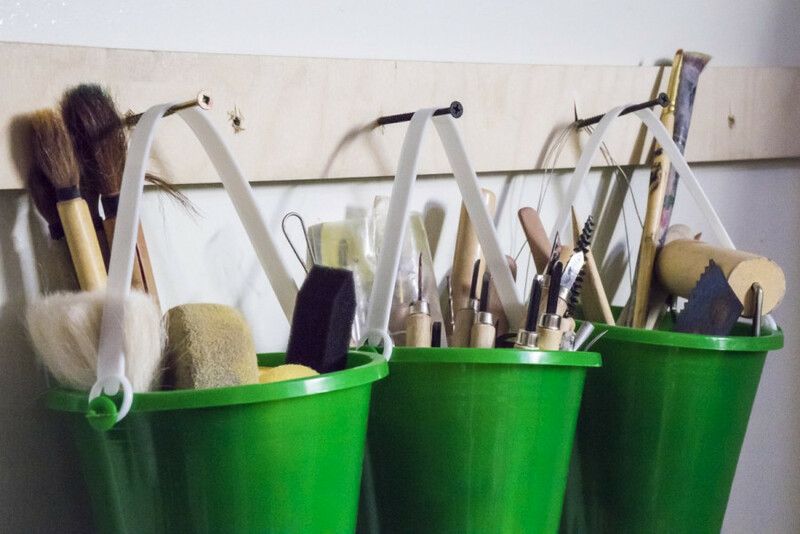 The Concordia University Centre for Creative Reuse is a place to find art and building materials, tools and supplies, and it’s all offered for free to students, staff and members of the Montreal community. 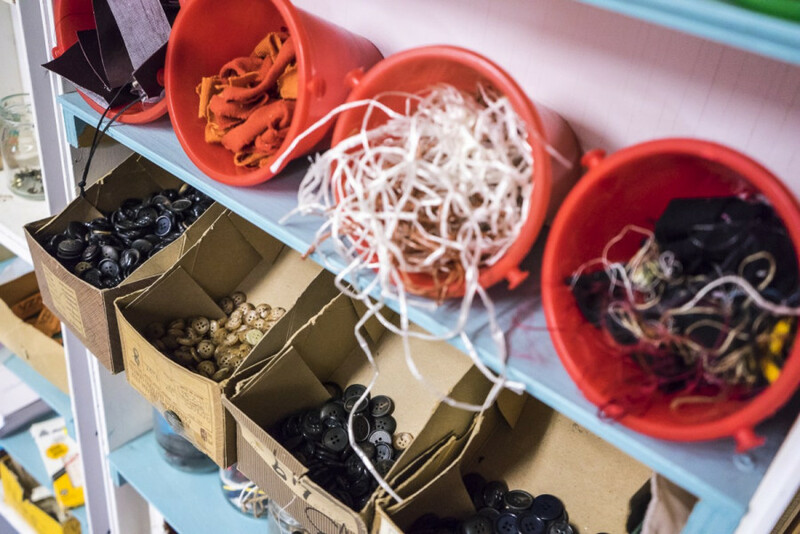 All the materials collected were found in labs or offices across the university and were diverted from Concordia’s waste stream in a multi-stakeholder effort to reduce the university’s waste and promote the reuse of old materials. “Our bigger goal is to change the culture around reuse, really shifting the way people think about reuse in their everyday lives,” says Anna Timm-Bottos, project coordinator of the centre. The materials that pass through the centre are all weighed out and the total tonnage entering and leaving the centre is posted and regularly updated on their website. “We calculate everything, so if they check out a pen and it barely moves the dial, it still adds to our [tonnage]. Every little bit counts,” says Timm-Bottos. Since opening its doors in March 2017, CUCCR—pronounced “sucker”—has diverted more material than anyone in the initiative originally expected. Depot coordinator at CUCCR, Arrien Weeks, says they had first estimated they would divert about two tonnes of material in their first year. They are currently at over seven tonnes entering the space and almost six tonnes checked out. “At this point we don’t know, it could go anywhere,” he says. Moving forward, CUCCR hopes to be part of Facilities Management’s goal to achieve 90 per cent diversion of materials and 50 per cent reduction of the school’s waste by 2028. According to them, the university’s current diversion rate hovers at 50 per cent. CUCCR is the result of Timm-Bottos’ thesis from her Master’s degree in art education at Concordia, which she came up with after studying other reuse centres in Canada. It was during the writing of that thesis that Kathleen Vaughan, associate professor in art education, became involved as a faculty advisor in the project. After discussing her research with contacts she’d acquired in departments and organizations committed to sustainability and noticing an interest, Timm-Bottos applied to the Big Hairy Ideas grant in February 2016. The grant was a special funding initiative put on by the Concordia Council on Student Life to fund projects that would have a large impact on the Concordia community and that featured collaboration between students, staff, and faculty. The project was among the three winners and was awarded $45,000 in May of 2016, giving Timm-Bottos the funds needed to open a reuse centre at the university. Vaughan says that Concordia was in need of a reuse centre for a long time. When she started teaching at Concordia after living in Toronto where she became aware of centres like CUCCR, she noticed the absence of a project like that here. “The first thing I asked was where is the reuse centre? And the answer was that there was none,” she said. She believes that CUCCR puts Concordia “in the vanguard of universities in Canada” with regards to sustainability. After working with Concordia’s EHS and Facilities Management to locate a space, CUCCR secured a spot in the Hall building’s basement in January 2017. Weeks then joined the project and built the space over the course of the next month, using almost 100 per cent reclaimed materials found at Concordia. The centre opened in March 2017. The space is small but inviting. A large work table occupies the centre of the area, and shelving units and boxes full of all sorts of different materials fill of the rest of the space. Since they only accept materials from Concordia, Timm-Bottos and Weeks say that they get to find out the history behind the materials, which enriches the interactions with them. “I think that’s a nice part about the space, is the stories of where everything came from,” says Weeks. Now, less than a year after first opening, CUCCR is already collecting funds to arrange an expansion. The new space, CUCCR 2.0, could be part of Facilities Management’s plan to reduce Concordia’s waste. Timm-Bottos says that a future endeavor CUCCR is looking into would be to start diverting furniture from the university’s waste stream to drastically increase the tons of waste diverted. Concordia’s EHS estimates that they could then move about 60 to 80 tonnes a year. But to do that, they would need to move into a space that could better accommodate the transport and storage of larger items. Since any student and staff across all departments can use the centre, Timm-Bottos says that they are approaching several departments and student associations for funding to coordinate the move, such as the Arts and Science Federation of Associations and John Molson School of Business. They have also been approved for a $75,000 grant from Recyc-Québec destined to initiatives committed to waste reduction in businesses and institutions, and the Concordia Student Union is currently providing $100,000 in funds for renovations and expansion this year, along with another $125,000 over the next five years to maintain the project. Faisal Shennib, environmental coordinator at EHS, says that CUCCR 2.0 would be a key initiative in achieving near-total material diversion rates, and in changing the culture around reuse at the university. The proposed space is on the first floor of the Grey Nuns Building. Some new services they are planning are a tool library and an art hive. The Shed, a workshop series focused on upcycling, will also share the space. “Also, being located at the largest student residence will allow us to raise awareness of reuse behaviors to residents with a team of student ambassadors throughout the year,” says Shennib. “It’s going to take a lot of our community, we’re going to call on everyone [to] come together to help us do that, which is really exciting,” says Timm-Bottos. Timm-Bottos and Weeks say that CUCCR is a place for community and collaboration. “We really encourage people to come down and visit. And once they come down, to bring a friend down because it’s kind of hard to find, so have a buddy system” says Timm-Bottos jokingly. The initiative ties in to broader efforts to promote sustainability across the university after Concordia’s adoption of a new sustainability policy in 2016. Timm-Bottos and Weeks agree that drastically reducing Concordia’s waste is within the realm of possibility, but it will take a lot of work. Correction: a previous iteration of this article stated that Hannah Materne is an interior designer, that Anna Timm-Bottos was studying reuse centres at other universities and that CUCCR’s current space was located by EHS. In fact, Materne is a graphic designer, Timm-Bottos was studying other reuse centres in Canada and the space was located by EHS and Facilities Management. The Link _regrets these errors.